The Federal Ministry of Justice decided to forward petitions against judges bordering on alleged corrupt acts to the Department of State Services when the ministry discovered that the Economic and Financial Crimes Commission failed to act on previous petitions as expected, The PUNCH learnt on Wednesday. It was gathered that some human rights groups forwarded petitions to the Federal Ministry of Justice when the anti-graft agency failed to investigate and prosecute the judges. Investigations also showed that the relationship between the EFCC and the Ministry of Justice had been frosty. It was gathered that the problem between the agencies was caused by the inability of the anti-graft agency to speedily investigate some of the cases forwarded to it by the ministry. The government source, who confided in The PUNCH, cited a petition on the withdrawal of over N11bn from the Rivers State Government’s account between October, 2015, and February, 2016. 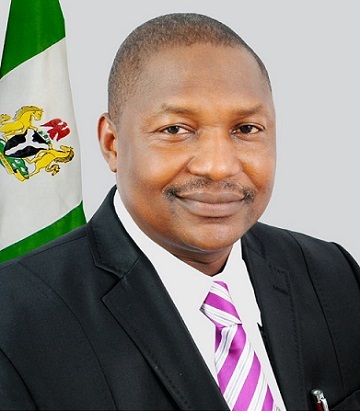 According to an exclusive report by The PUNCH on June 24, the Attorney General of the Federation and Minister of Justice, Mr. Abubakar Malami, had, in March, 2016, directed the EFCC to investigate the withdrawal, which the ministry described as suspicious. “From all indications, because of the EFCC’s seeming inaction on some of these cases, the ministry of justice has now resorted to forwarding the petitions to the DSS. Obviously the EFCC is not happy with this,” the source stated. The relationship between the ministry and the anti-graft agency has actually not been cordial since President Muhammadu Buhari sent the Money Laundering (Prevention and Prohibition) Bill, 2016, to the National Assembly through the AGF earlier this year. The EFCC definitely sees nothing good about the law, though it acknowledges that the extant Money Laundering (Prohibition) Act, 2011 (amended in 2012) needs to be amended again. On the new law, the EFCC catalogued what it considered the many flaws of the new bill in a position paper, which it submitted to the National Assembly. The EFCC maintained that the passage of the bill into law would be inimical to Nigeria’s standing in the next round of mutual evaluation of the nation’s Anti-Money Laundering and Counter-Financing of Terrorism by the relevant international bodies. It is obvious from the issues raised by the commission that it is apprehensive that the bill seeks to whittle down some its powers under the EFCC Act.The PUNCH gathered on Wednesday that the EFCC was bitter because it was already investigating some of the judges, who were arrested by the DSS on Friday and Saturday. The DSS had, in what it called a sting operation, arrested Sylvester Ngwuta and Inyang Okoro, both of the Supreme Court; the suspended Presiding Justice of the Court of Appeal, Ilorin Division, Justice Mohammed Tsamiya; Justice Kabiru Auta of the Kano State High Court and Justice Adeniyi Ademola of the Federal High Court, Abuja. Others arrested were a former Chief Judge of Enugu State, Justice I. A. Umezulike, and Muazu Pindiga of the Federal High Court, Gombe Division. It was also learnt the rivalry between the two agencies came to a head when the EFCC allegedly opposed the takeover of the investigations of some petitions against some judges, which it had already worked on. A top government source, who confided in The PUNCH, said the EFCC was also not favourably disposed to investigating some judges, who had assisted in the speedy trial of graft cases instituted by the commission. The source stated, “The point of disagreement came from the investigation into the petitions. While the EFCC thought that the DSS should steer clear of the petitions because it had already worked on them, the service and the Federal Ministry of Justice insisted that the commission was slow in its investigations. A source in the EFCC explained that if not for the rivalry, the DSS should have involved the commission in the investigation into the graft allegations against the judges. He stated that the anti-graft commission was of the view that the DSS disrupted ongoing investigations being carried out by it into the alleged corrupt practices by some judges. According to him, the EFCC has been carrying out discreet investigations into the activities of three judges, which were said to be jeopardised by the raids conducted by the DSS. “It is a DSS operation. The EFCC is not involved. The raids carried out on the judges’ residents have affected our ongoing investigation into the activities of some of the judges. “What this has done is that they have alerted those suspected judges. With what they have done, they have alerted them to be careful,” the source in the commission told The PUNCH on Wednesday.